Recently, I've been playing with a lot of recipes that call for canned diced tomatoes. But, the highly acidic fruit, sitting in the can, freaks me out a little. Plus, I always find myself staring at articles about BPA and squinting. (For some reason, it makes me squint. This can be substituted for cringing.) And since Canada declared it a toxic substance in 2010 and banned it from baby bottles, as did the EU, I just don't really enjoy playing with the stuff. Therefore, I decided to make my own canned diced tomatoes. I don't know how this recipe compares to a regular canned diced tomato recipe but it has worked so far, and tastes the same, I think, and I want to share it. Bring a high-sided sauté pan or skillet of water to boil. 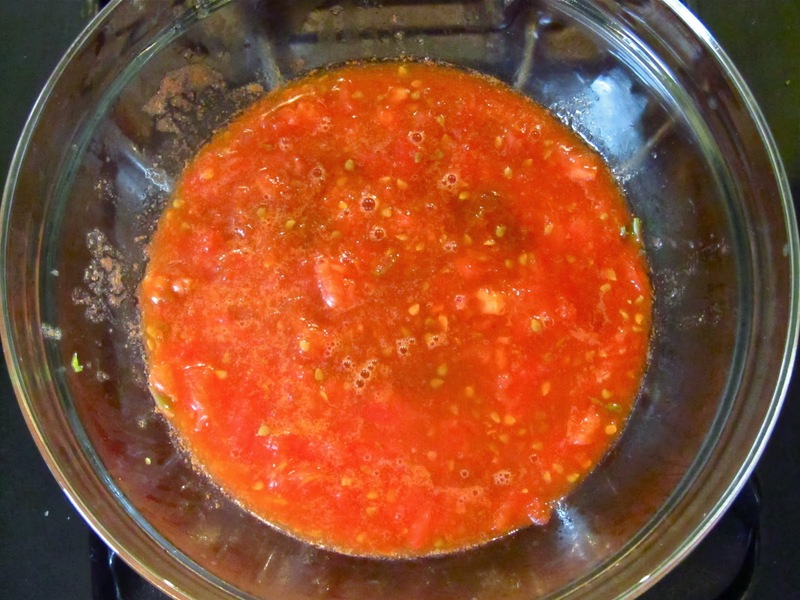 Drain the water and drop the tomatoes in a bowl of ice water. Once the tomatoes have cooled to touch, place them on a cutting board and pull their skin off (it should peel off very easily). 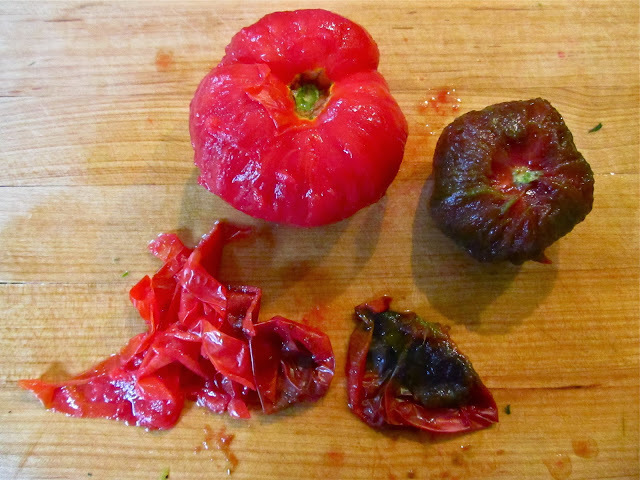 Cut the tomatoes in half and remove their core. Uh oh...I used a different pan. Heh. 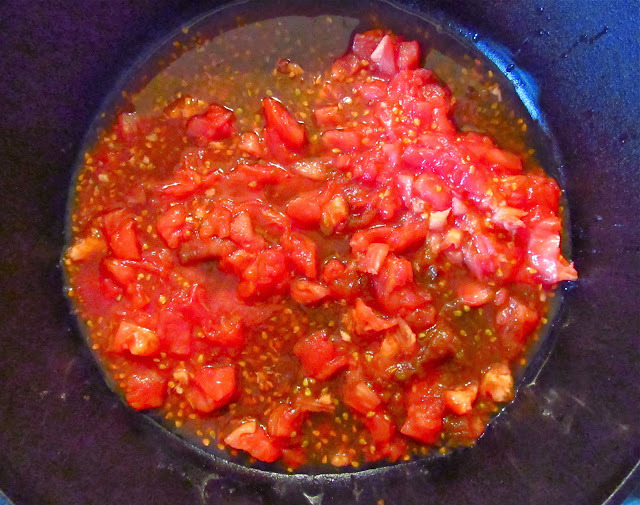 In the same pan, add the diced tomatoes and bring to a simmer on med-low heat. Simmer for 5 minutes. Do whatever the heck you need to do with them! 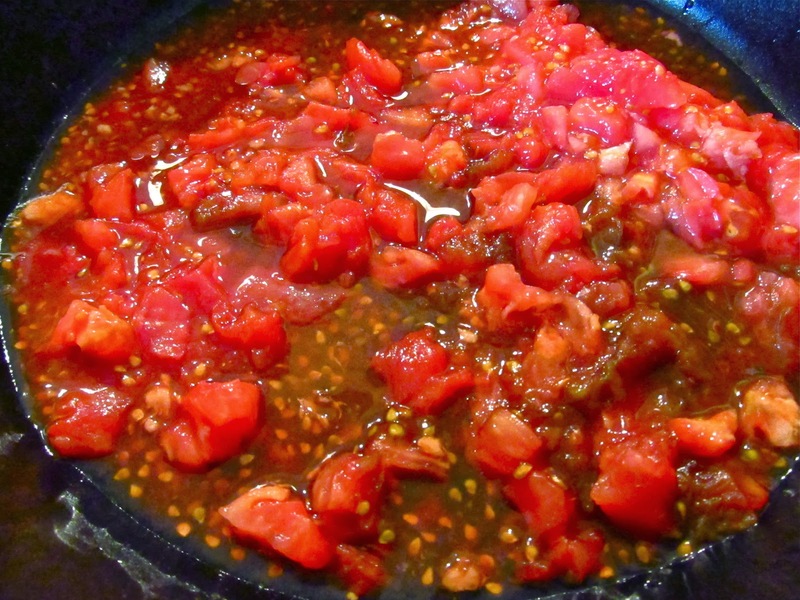 *Cool fact- if you need crushed instead of diced, you can cut the tomatoes in half and place the cut side on a grater. 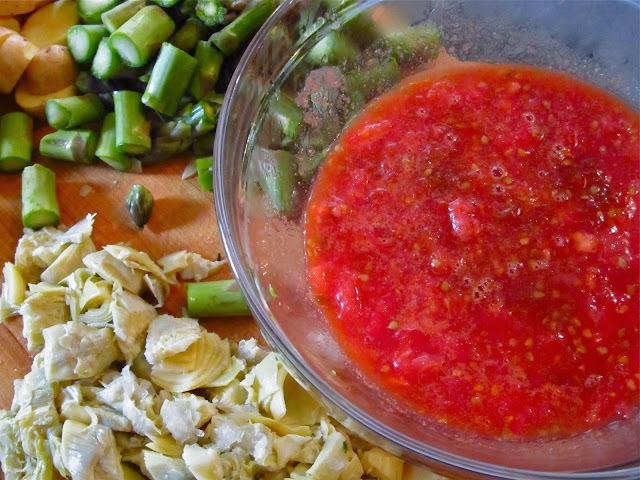 Grate down to the skin and you are left with peeled, crushed tomatoes! NO BOILING=1 LESS STEP! This is a cool idea! I definitely use canned tomatoes a lot, so I should really do this more often. Do you know how it holds up in the freezer? I definitely squint when I read about BPA, unsustainable fishing practices, and pink slime. Sigh. Thanks - this was perfect!! I also took the skins, let them dry a little, covered them lightly in EVOO, and put them on a parchment covered cookie tray for 10 mins. (I had the oven on while batch cooking anyway) Add a some sea salt, and yum, yum!! Thanks for stopping by, Emily!! :) Glad you liked the recipe, and what a great idea with the tomato skins!! I will have to try that!